During the Annual Directors Meeting several past Board Members were honored for their years of service. 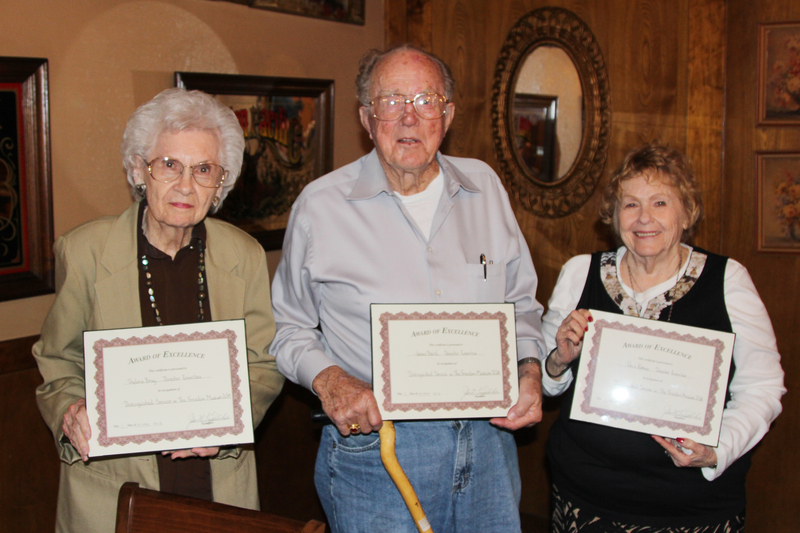 Those able to attend were Thelma Bray, James Baird and Doris Robbins. Other former directors who were unable to attend were Mike Porter, Gene Barber and Lewis Epps.